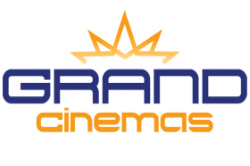 Come and see the latest release movies in airconditioned comfort at Grand Cinemas Armadale. With 6 big screens, including 3D, comfortable seating, competitive prices and friendly staff, why would you go anywhere else. We are close to restaurants and cafes, so why not combine the two for an enjoyable evening out. For the younger viewers Memorial Park is close by to let off some steam and reenact their favourite scenes.